You can find more of my slide decks on SlideShare. And some other slide sharing place whose name I can never remember, if you can help me pls ping me! 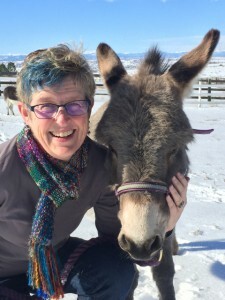 Agile Testing Days, Story and Example Mapping Mashup with JoEllen Carter, December 2016. Mile High Agile 2015, Build Your Agile Testing Skill Sets, workshop. My spur-of-the-moment (well, I had 24 hours notice) preso on How Pairing Adds Value – Or Does It? SQuAD Workshop, Making Distributed Agile Teams Work, December 2011. Photos from the workshop. I still need to blog about this! The Secret to Successful Test Automation, a new talk I did for Agile Denver, October 2011. There is a great write-up of this talk including input from the audience on Brad Swanson‘s blog. StarEast 2011 Making Test Automation Work in Agile Projects, May 2011. This isn’t a step-by-step how-to automate using specific tools. It’s about how to get your whole team engaged in solving automation issues as part of your efforts to manage technical debt and deliver a high-quality product. Learning for Testers, keynote at Belgium Testing Days, February 2011. Doing the Defect Limbo: An Agile Approach to Defect Management, keynote at Agile Testing Days, October 5, 2010. Automation Design Examples, simple examples of design principles for test automation using Robot Framework, presented at StarWest and Agile Testing Days 2010 as part of a tutorial “Making Test Automation Work in Agile Projects”. Seven Key Factors for Agile Testing Success, talk, STP Local Interest Chapter, August 2010. An updated version of the earlier Seven Key Factors talk – with a new pre-requisite. Limbo Lower Now: The Defect Management Limbo, tutorial, Agile 2010, August 2010. An agile approach to managing and preventing defects. Similar to the earlier one below, but I’m always refactoring these slides! How the Quadrants can help you make sure you get all the different kinds of tests needed within each iteration and release. 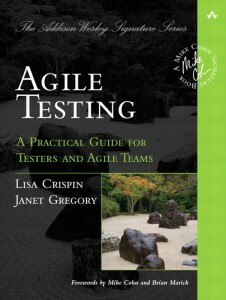 This covers some basic information about testing in agile projects and the role of the agile tester. Strategies for succeeding with test automation in an agile project – or any project, for that matter. Agile development approaches present unique challenges for testers and test teams. Working in short iterations, often with limited written requirements, agile development teams can leave traditional testers behind. Common testing-related activities, such as user acceptance testing, testing inter-product relationships, and installation testing, need different approaches to fit into agile projects. This presentation explains seven key factors for testing success within agile projects that you can also apply to more traditional methodologies. Agile teams produce a production-ready product every one to four weeks. Without test automation, no team will have time to maintain a stable product and complete vital activities such as exploratory and non-functional testing. This presentation explains how to leverage the whole team approach, choose appropriate tools, and develop incrementally so that test automation can help testers “keep up” with the fast pace of agile development. This one-hour talk introduces the Agile Testing Quadrants and how teams can use them to ensure that they consider all necessary types of tests, who will do each type, what tools and resources might be needed. and when during the iteration or release cycle they should be performed. Lisa does a longer tutorial on this subject as well. This tutorial explores in-depth how teams use the Agile Testing Quadrants to ensure all dimensions of software quality in an agile project. Lisa explains the practical skills needed to adapt to whatever testing challenges arise. Everyone on an agile team does testing. The lines between developers and testers have blurred. If I define myself as a tester on an agile team, what does that really mean? This presentation explores what differentiates “agile testers”, whether agile teams need different testing skill sets than traditional test teams, and what guides agile testers in their daily activities. 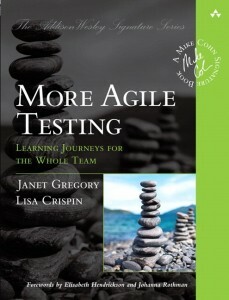 Lisa Crispin suggests ways testers can acquire the results-oriented, customer-focused, collaborative and creative mindset that lets them and their agile teams succeed. This includes the Top Five Principles for an Agile Tester. This presentation is for testers, test/QA managers, and development managers. This tutorial is for testers, their managers, and agile teams wondering how to get testers engaged with an agile project. In this tutorial, you’ll follow an agile tester through an iteration and a release to discover all the different ways testers contribute. We start with what testers do in release or theme planning, observe the tester’s activities through the start, middle and end of an iteration, and examine the tester’s role in a successful release, including UAT, the End Game, packaging and documentation. We’ll practice the different skills that help testers colloborate with team members to ensure all necessary testing activities are planned and executed each iteration. Similar to the tutorial “Crossing the Chasm”, this tutorial addresses the problems testers have trying to adapt to an agile environment. In it, Lisa presents the “wall” of common barriers to tester and testing success on agile teams. Interactive exercises help participants identify the problems they want to solve, and discuss good solutions. 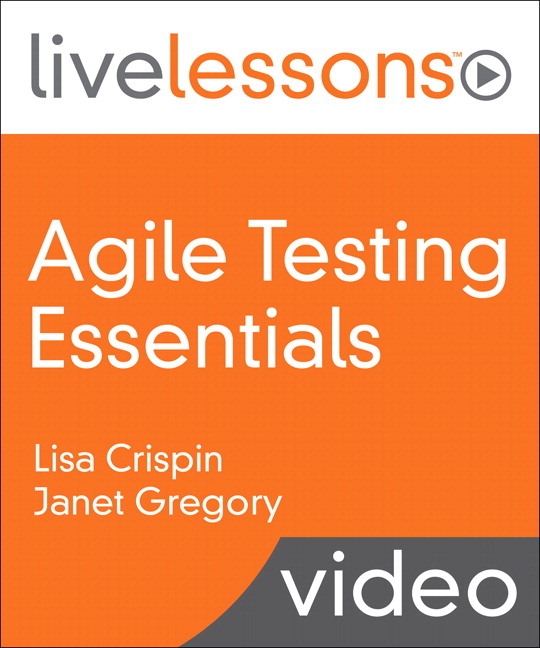 Lisa introduces the Agile Testing Quadrants and the Test Automation Pyramids, and how those can be used to help testers and their teams understand the types of testing that need to be done, and what resources they will need. Managers learn how to support testers and provide the testing they need. Developers learn how they can help testers and get help from testers. Testers learn how they can help themselves, by learning the skills they need, and finding ways to get the support they need from management and other roles in the organization. Using #docker? What helped you get to your “aha!” moment to really understand why and how?